Happy to announce my newest addition, Calliope! She is a five month old kitten from the Fort Collins Cat Rescue and was adopted from the FELV+ room. 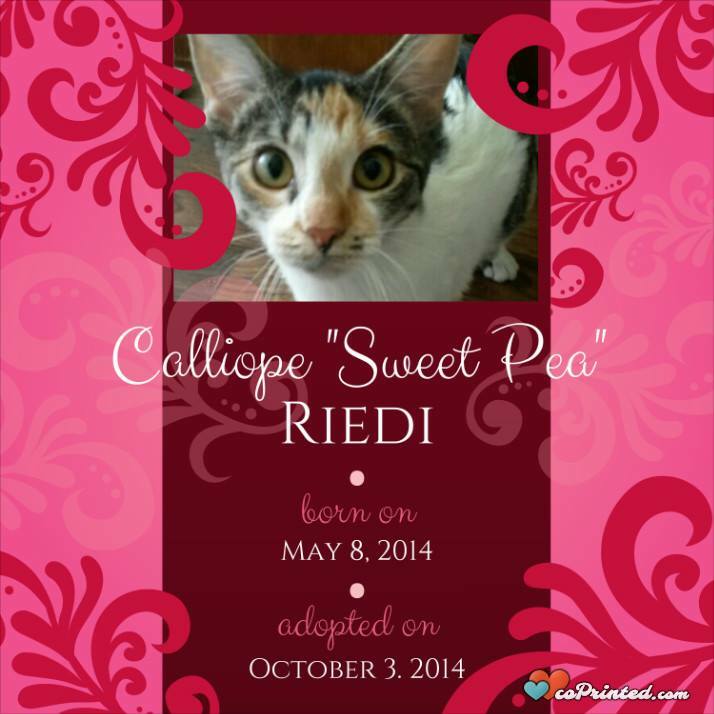 Welcome to the Clan, Calliope!